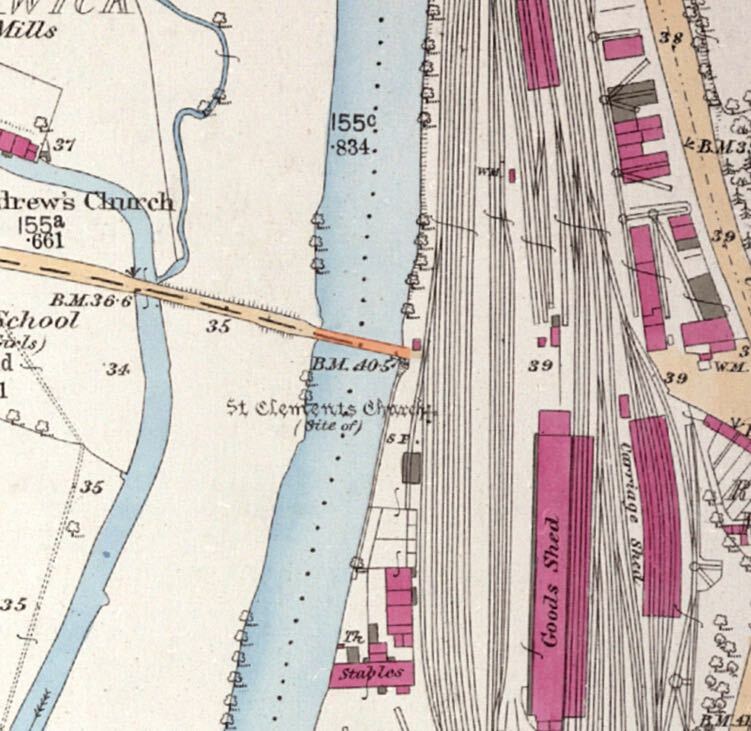 There was a bridge across the River Exe at Exwick, next to the railway crossing as early as 1851, probably built by the Bullers. 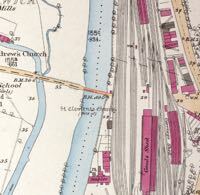 The Buller's owned land in Exwick and had donated the land at the end of Station Road for Exwick School (opened 1861) and St Andrew's Church (1842). 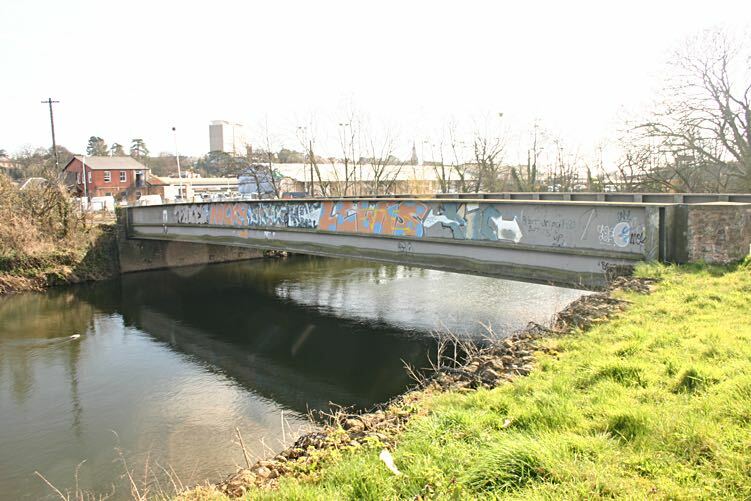 In 1851, James Wentworth Buller persuaded the Bristol and Exeter Railway to donate £150 towards building two bridges at Exwick – he also collected money from the mill owners to raised about half the required amount. Buller paid the rest and in 1851 two wooden bridges were built, one over the leat and one over the Exe. The new short cut to St David's Station proved to be popular with more than a thousand pedestrians passing along Station Road on some days. However, the collected tolls averaged just £20 per year with the cost of upkeep falling on Buller. 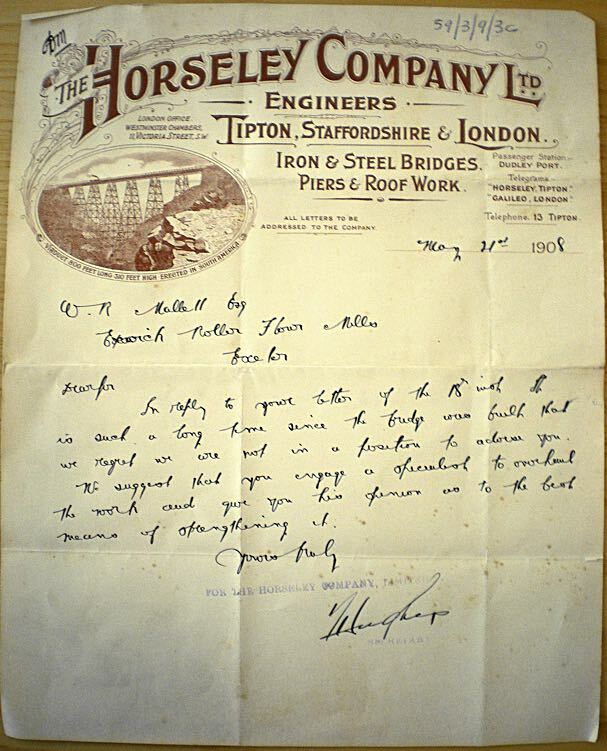 In 1866, the old wooden bridge over the river was badly damaged by floods and by 1870 in poor condition – it was rebuilt by Horseley Company Ltd, in 1871, at a cost of £1,200 in cast iron and stone. Station Road as it is now known was adopted by the City Council in 1901, and the collection of tolls ceased. 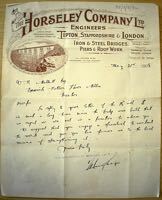 The letter, left, was to W R Mallett, the Exwick mill owner who was enquiring if Horseley, who built the bridge, could strengthen it to take his steam lorries. 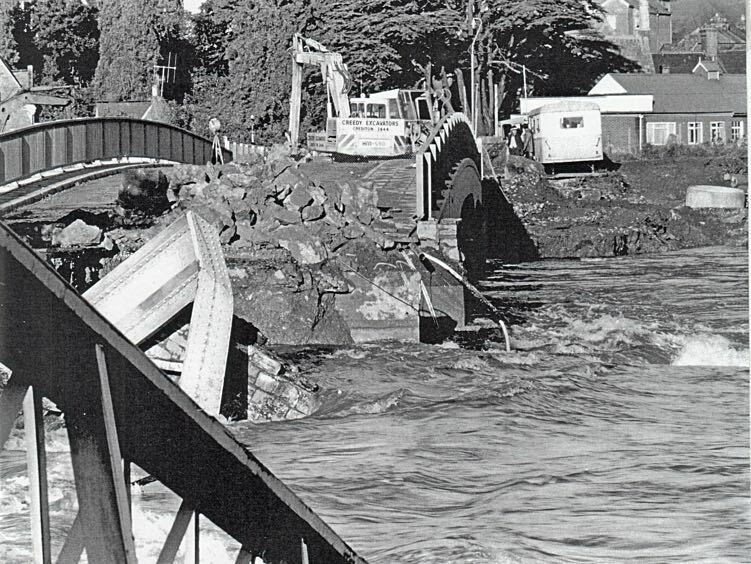 The Buller Bridge was swept away in a flood in 1974, during the works to build the Exeter Flood Prevention Scheme. 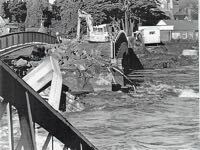 Some residents of Exwick reported that the old bridge had been weakened because the works had damaged the river bank above the bridge. 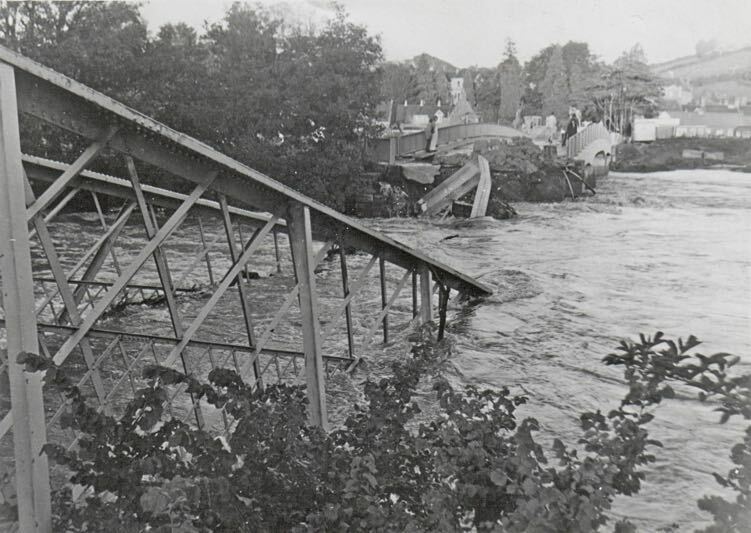 Others reported that the contractors were aware of the danger, and that there was a line of lorries, filled with boulders, being tipped under the supports of the bridge, to prevent it being undermined by the fast flowing water. 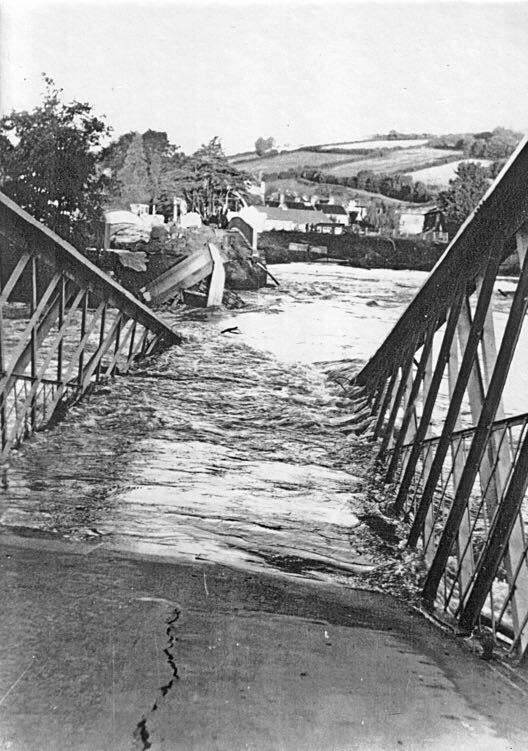 See Exeter Floods in 1960. "Me, my wife and son and daughter must have been in one of the last vehicles to drive across that bridge. We crossed it in a company white Ford van on our way out to see friends at Silverton at about 7pm, when the water was lapping over the roadway of the bridge. We tried to go over it again on our way home at about 9.30pm, but, by then it had been washed away!" The replacement bridge was designed and built by Devon County Council Bridge Works Division at a cost of £100,000. A temporary bailey bridge for pedestrians was installed at a cost of £5,000 until the new bridge was completed. The steel deck of the new bridge was fabricated by Horseley Bridge and Thomas Piggott Ltd and erected by Carter Horseley Engineers Ltd. It was designed to have a low road surface level allowing a flat approach from either side; it is also hinged to allow one end to be raised to line up with a new road bridge, if it is ever built, over the railway replacing the level crossing. 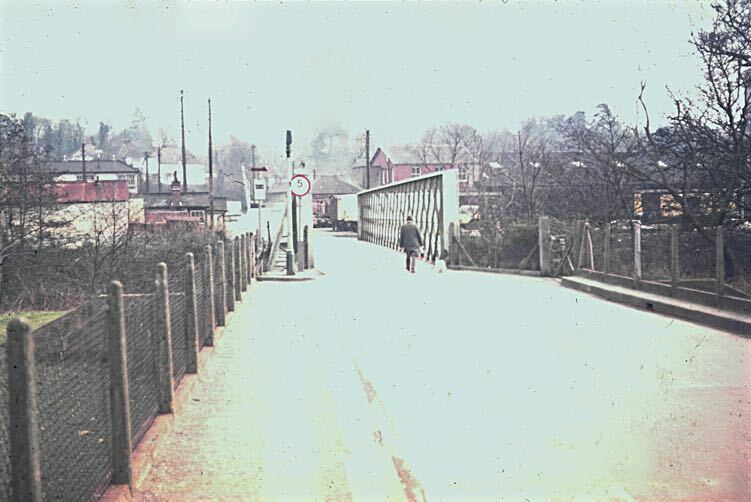 The approach to the Buller Station Road Bridge, circa 1965. The modern Station Road bridge. 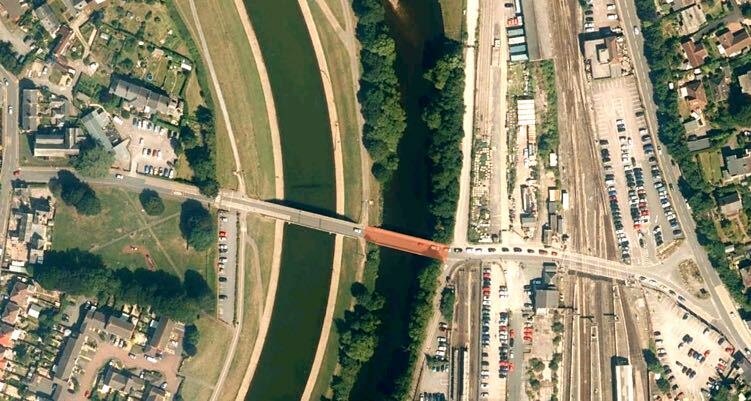 Aerial view showing the two Station Road bridges, one over the river, and one over the flood channel. Aerial view showing the two Station Road bridges. To the right is the gap joining the river and the unfinished flood channel. The roadway submerged beneath the river. The angled girders disappear beneath the river flow.